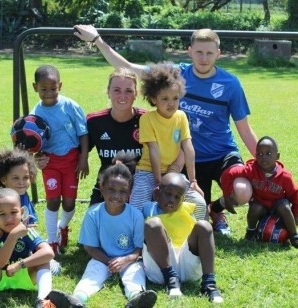 Kathleen and Daniel from the USA are with Umoja for 10 weeks. 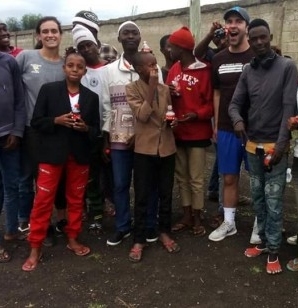 They have been awarded a Projects for Peace Fellowship for their work in designing a series of sports camps that incorporate HIV/AIDS education. 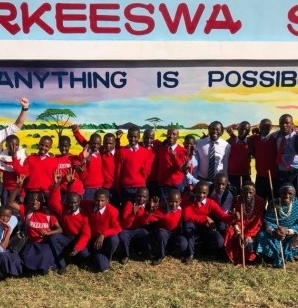 Last weekend ARDP were out in Monduli celebrating Orkeeswa School’s 10 anniversary. Yes, two new FSA volunteers! Björn is from Germany and Kelly is from the Netherlands. 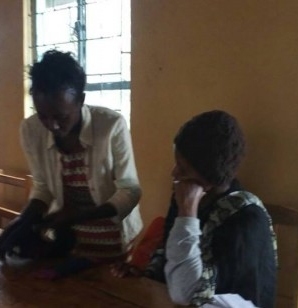 Pendo Mbuyai from the Umoja Days for Girls department demonstrated the use of reusable sanitary pads to teachers at Matavez primary school. The YES! 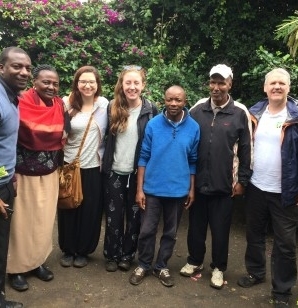 Programme Arusha Network met recently to review its progress over the past year and to prepare its plans for the year ahead. 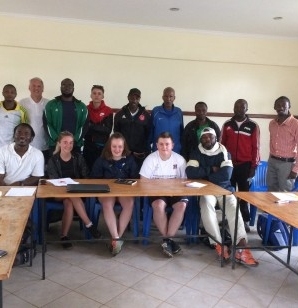 The Sport & Education Feasibility Study has got underway with initial discussions with Thabit Eliasa from SOVOI and the Head Teacher from the Kambi ya Maziwa primary school. 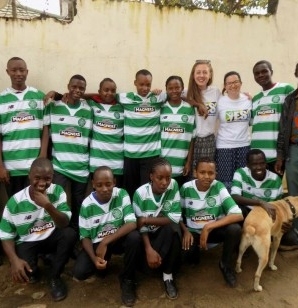 Students at the Umoja Centre in Arusha were delighted to receive more tops donated by the Celtic FC Foundation. The FSA Parents Day 2018 was a great success with lots of parents attending. 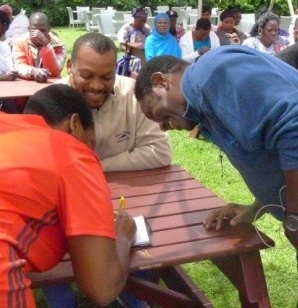 They received information on what we FSA is working on and they gave their feedback.